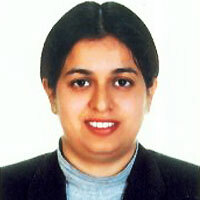 Mrs. Anuradha Walia Sondhi | Advisory Team Member - Usha Financial Services Pvt. Ltd.
Strategic Planning, Market Research, New Setups, Financial Planning, Sales & Marketing, Distribution Management, Business Process Champion, Training & Development and much more..
Mortgage Broker from Real Estate and Mortgage Institute of Canada Inc.
Strategic Planning, Business Analysis, Business Alliances, Market Research, New Setups, General Administration, Financial Planning, Sales & Marketing, Distribution Management, Business Process Champion, Team Management, Training & Development. Business Analyst with experience in finance, mortgage and IT sectors with hands on experience in project planning and Coordination, business requirements management and analysis, business process modeling, cost and risk analysis and test management. Team leader possessing outstanding communication, interpersonal and human resource skills. Specialties: Strategic Planning, Business Analysis, Business Alliances, Market Research, New Setups, General Administration, Financial Planning, Sales & Marketing, Distribution Management, Business Process Champion, Team Management, Training & Development.